Disclosure: Today’s post comes to you in partnership with True Science. I received products and compensation to facilitate this content. The opinions are my own. If you follow me on Instagram you would quickly become acquainted with my furbabies…..Rebel & Sugar (the Simply Sweet Home cats) and Shadow (the Simply Sweet Home dog). They are very much the center of the universe around here. It’s been a while since they’ve been featured here on the blog, so I will reintroduce them in a bit. But first I have some exciting news! I was recently chosen as a True Science Ambassador! They are a new company offering the very best in pet care products from food and treats to medicine! And I’m so excited to share their products with my furbabies, and you, my readers! Before I get to this month’s featured samples, let me back up and introduce my Furbabies. Rebel is my boy cat. 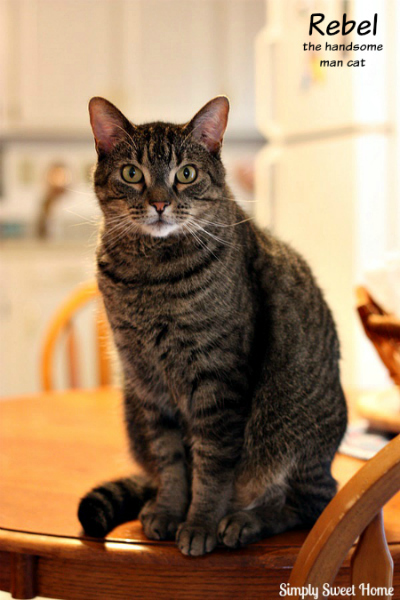 He is a 7 year old Tabby, and he loves sleeping on my feet, singing for his supper, and taking brief trips out on the front porch with his mommy and daddy. 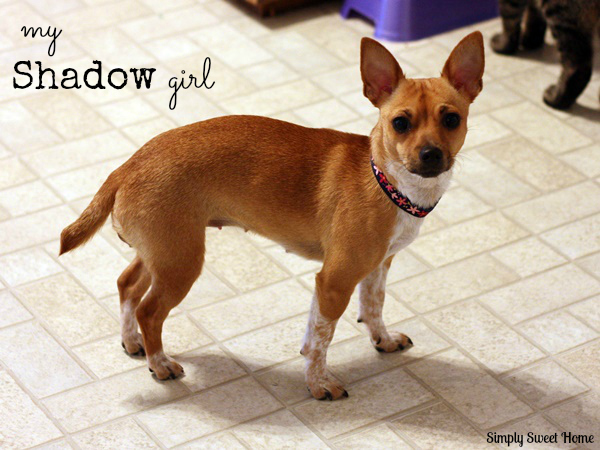 Then there’s Shadow. She’s our little Chihuahua mix, and she’s just over a year old. She takes her roll as baby of the family very seriously, usually sleeping in between her parents and demanding to be the center of attention in any room. She also loves to play, run, and herd cats. This month the folks at True Science, sent me a couple of products for the Simply Sweet Home Cats. 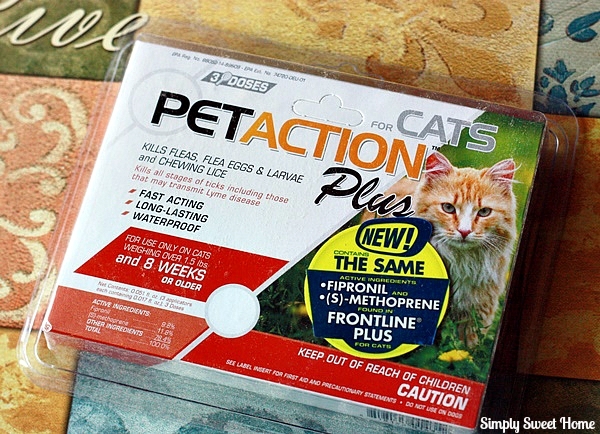 I received a package of PetAction Plus for cats. This is a product that kills fleas, flea eggs, larvae, chewing lice, and ticks. The product contains the same active ingredients as Frontline Plus (but it costs less). It is fast acting, long-lasting, and waterproof. And I’m so happy to have this for my cats. Even though they are inside cats, we’ve started letting Rebel go out on the porch some. 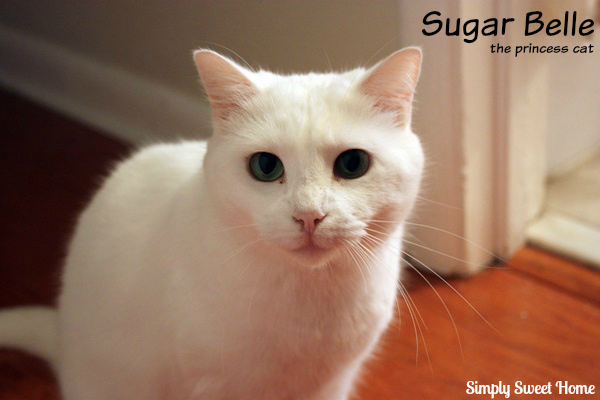 (Sugar has no interest in going outdoors.) And also, since Shadow gets to go outside some, we feel it’s important to treat the cats, just in case Shadow were to bring a flea or other pest inside. This product works well. I love that it has the same active ingredients as a trusted, well-known brand. This gives me confidence. Also, it’s very easy to apply. I usually just place a couple of treats in front of my cats to occupy them while I apply the product, and they don’t mind it very much. The product is available at Walmart and Sam’s Club, and currently there is a $3 off coupon available. 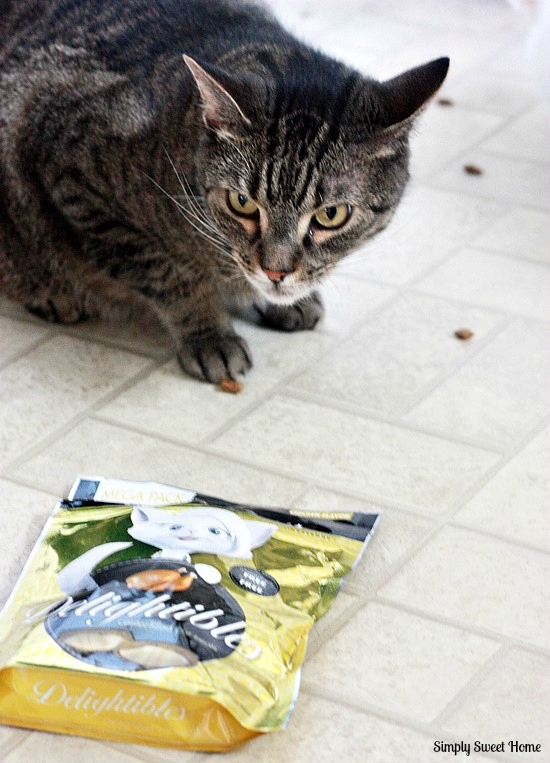 These treats are crunchy with soft centers, and come in six great flavors that cats love! 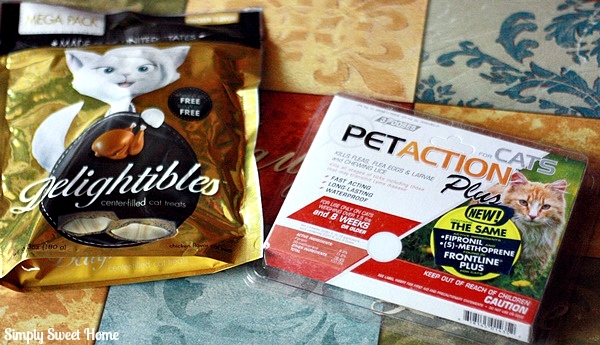 Rebel and Sugar are so excited about these products, and they hope you will give them to your kitty babies too! Love your kitties! I would have a few too if I wasn’t allergic! I use something similar on my dog! Cute pictures!! I am sure little Shadow would enjoy them too. Dogs don’t care if it is cat food. 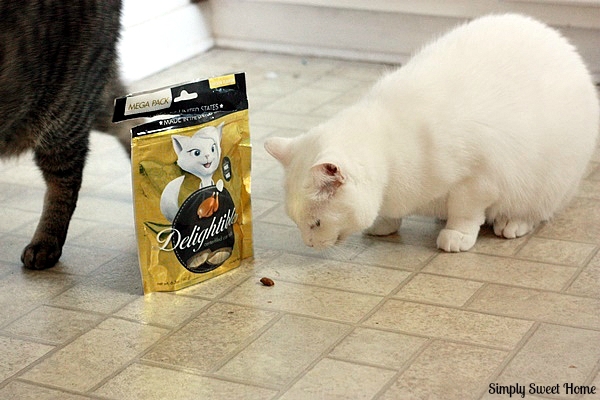 It looks like your cats love these treats. Great idea giving the cats snacks to distract them while medicating them.